So many of you know, I’m not a “big” sports fan (Horns, tennis, boxing, and MMA is about all I follow .. and poorly at that), but we’ve got a big story with some HR implications coming out of sports news. Mets second baseman Daniel Murphy put fatherhood ahead of baseball, and now, some outraged New York Sports radio hosts are outraged. “You get your a** back to your team and you play baseball,” added WFAN’s Craig Carton. “That’s my take on it. There’s nothing you can do anyway. You’re not breastfeeding the kid. You know me. I’m going to have to throw out my typical “girl in HR” catch-phrase, “seriously?! ?” Three days is hardly extraneous… and I find the other comments just offensive. Just because a man doesn’t birth the baby doesn’t mean that he has any less right to have bonding time with the child. These radio hosts views are just off, imho. Do they think its ludicrous for the man to be in the delivery room, to go to parenting class — I border that their comments might lead someone who doesn’t know them better that they think that birth and raising children is “woman work.” We’ve moved SO far past that. So stepping off the soap-box and let’s make the HR connection. Paternity leave. In the US, women AND men can take up to 12 weeks off to care for a newborn if they qualify for FMLA leave. Some companies go beyond that and have added additional maternity and paternity benefits to help encourage employees to take that time off by helping to eliminate some of the financial burdens of staying home to care and bond for a child. I wish I could put my hands on some updated data, but the trend is that many men don’t take full advantage of benefits that may be available to them — now the reasons for that can be anything from financial to thoughts on their place on raising children — and every combination in between. I think that one thing that we can do in HR is to help put programs in place that will help facilitate and encourage expecting parents, regardless of gender, to take the time off that they need… if they want to. 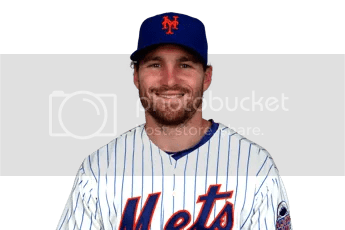 We should also applaud and speak positively about examples, such as Daniel Murphy, of men who are taking the time off and using their benefits. Parental leave is not a “working woman’s issue” anymore… its an issue of work-life balance and that is bigger than either gender alone. We don’t need to force the choice, but provide options for people to use and make their own decisions — and don’t talk crap or be negative when people take advantage of benefits afforded to them. As an aside, on this story Daniel Murphy takes high road while Terry Collins fires back after Mike Francesa and Boomer Esiasion question Mets’ paternity leave from NY Daily News there is a poll for readers to partipate in that asks: Do you think Mike Francesa is over the line questioning Daniel Murphy’s paternity leave? When I took it the results showed 86% YES and 14% NO. I’m interested to see where the story develops — from a work-life, parental leave, and HR perspective — I’m sure that the story will continue to be popular over the next few days or week — but let’s try to keep the underlying point of the story developing and out front. Twenty years ago today, the Family Medical Leave Act (FMLA) was signed. FMLA has guaranteed invaluable work and family flexibility for millions of Americans, allowing employees to feel secure in their jobs while attending to important personal and family needs.